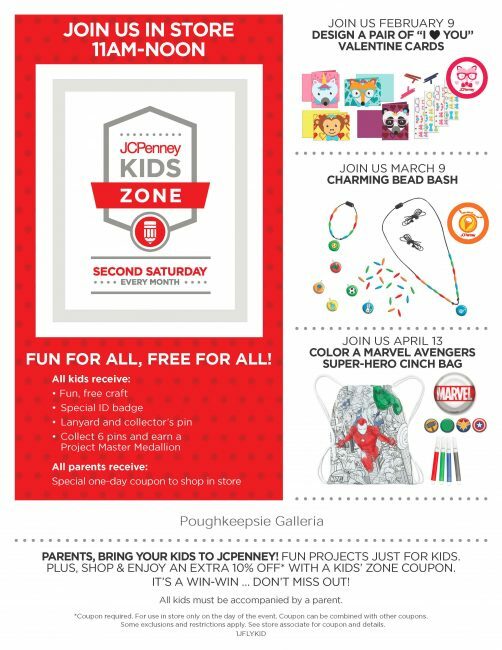 Join JCPenney in store for their upcoming Kids Zone events! Saturday, February 9 from 11am-noon for Valentine’s Day card decorating! Saturday, March 9th from 11am-noon for Charming Bead Bash! Saturday, April 13th from 11am-noon for Marvel Avengers bag decorating!